The recording of Invisible Empire/ /Crescent Moon, her Blue Note debut, was fairly off-the-cuff. But some foreshadowing speaks to its sound: after touring her last full-length, 2010’s electronically-flavored Tiger Suit, Tunstall quietly released The Scarlet Tulip EP, a collection of acoustically rendered songs recorded in a single take at her home. In retrospect, the stripped-bare, back-to-the-drawing-board approach seems like a runway for this new project, which Gelb has steeped in the rustic tincture of Arizona’s desert air. Indeed, if the tech-savvy Tiger Suit was a reflection of recording in Berlin, IE//CM is evidence of the wondrous things possible when a native Scottish lass holes up in the American Southwest. Captured on reel-to-reel tape during sessions captured a few months apart, IE//CM is a far cry from Tunstall’s pop comfort zone. Rather, it’s a twangy, lost-and-found meditation on the reciprocity between death – she lost her father last year – and the rebirth of finding new, unexpected love. What results is a pared-down song cycle of surprising depth and understated, old-timey elegance. The opener, “Invisible Empire,” tiptoes in on a circular guitar pattern, eventually joined by Luke Bullen’s delicately brushed drumming and Gelb’s piano flourishes, while Tunstall warbles about the necessity of change and illusory obstacles blocking her progress. On “Made Of Glass,” she ponders the fragility of life and the exhaustion of unstoppable grief. “Fire me in an oven / until I go hard enough to deal with losing you,” she pleads in a gorgeous bluesy lilt that nearly morphs into a yodel. The gentle swing of “How You Kill Me” seems to depict a cat-and-mouse game with God, wherein she observes, “… just as I sing like a bird, you / you shoot me down for your fun,” before asking to be spared with just the slightest hint of sarcasm. “Old Man Song” and “Yellow Flower” operate like companion pieces as she struggles to say goodbye, offering herself as a vessel to help a beloved old soul pass from one life to the next. shrouded in doubt,” she croons, but finds herself grateful for the ensuing growth that comes from sitting with uncertainty. Ethereal oddities lace several tracks, recalling the surreal tones of the Angelo Badalamente score for Twin Peaks. “Carried” builds a hook out of an unlikely melodic swoop, seasoned with steel drums and Gelb’s ‘red pedal of mystery’ as it approaches Southern Gothic territory. 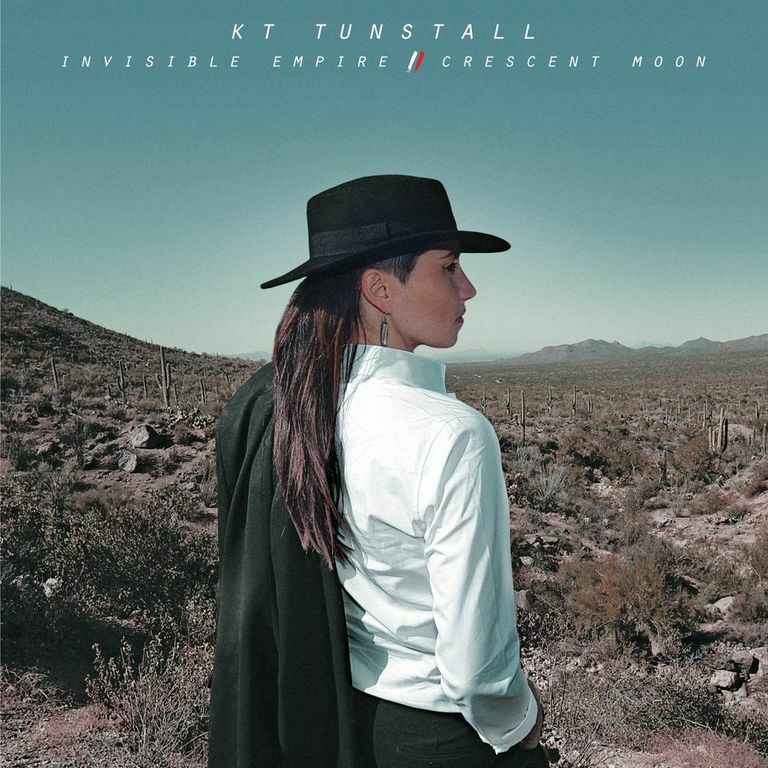 “Crescent Moon,” which begins the collection’s second half, finds Tunstall tickling an 1888 upright piano while shuddering strings emit a tense pulse. The finale, “No Better Shoulder,” echoes it’s way to infinity, creating a sturdy metaphor about a love that lasts: she repeatedly chants, “There’s no better shoulder / There’s no finer place / But one word of warning / You’ll never be replaced,” while feedback swirls around her with intermittently woven blasts of noise, simulating a weathered storm. Elsewhere, flute, tuba, accordion, euphonium, clarinet and waterphone keep things interesting. You may recall that Tunstall hit big with her 2005 debut, Eye To The Telescope. Selling over 4 million copies, she briefly became ensconced in pop consciousness when her single “Black Horse & the Cherry Tree” got covered on Fox’s American Idol – inarguably, a commercial boon. But her songwriting chops have always hinted at greater musical aspirations – and potential – than what new-millennium pop stardom tends to offer. enough display to warrant a second thought about who this woman is and what we’ve come to expect from her.